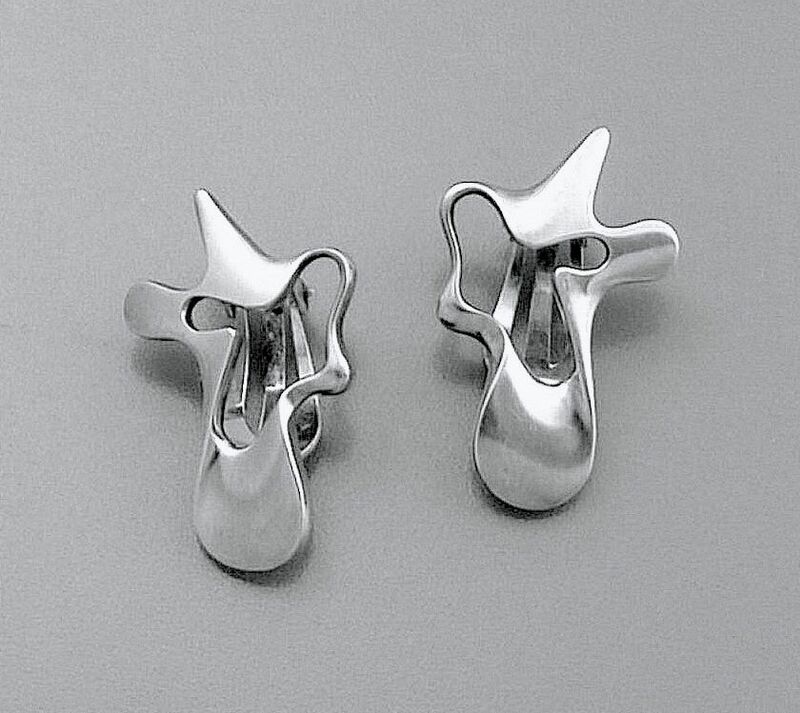 This wonderful pair of silver clip earrings were designed by Henning Koppel for Georg Jensen. Known as "Splash" the openwork earrings are an irregular "splash"/ amoeba shape and are one of the iconic Koppel/Jensen designs of the1960s. 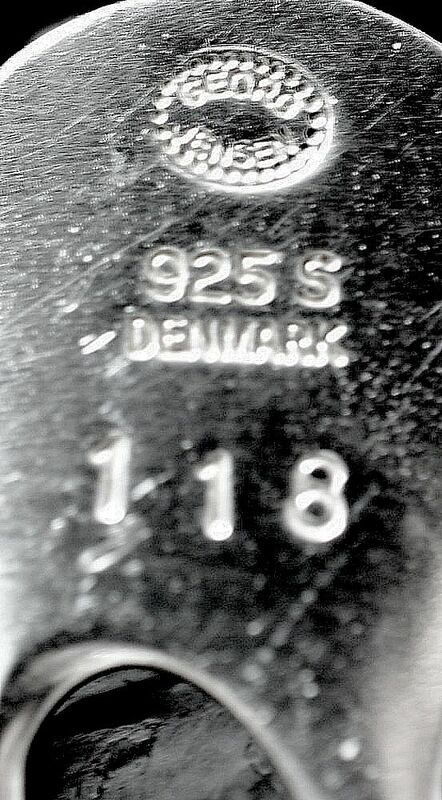 Marked with the Jensen oval inscribed cartouche and stamped no 118.